The Extras Arent Extra at Drury Hotels. Your great rate includes FREE Hot Food and Cold Beverages at our 5.30 Kickback/ FREE Hot Breakfast/ FREE Wireless Internet Access and FREE Long Distance. Our 5.30 Kickback includes a rotating menu of penne pasta with basil pesto alfredo/grilled chicken slices/make your own beef tacos/ baked potatoes/ soup/ salad w/choice of toppings/ beer/ wine/ soda/ mixed drinks and more -subject to state and local laws-. Dont miss our great hot breakfast buffet with / sausage/ Belgian waffles/ biscuits and gravy/ fresh fruit/ bagels/ and pastries. Take advantage of FREE popcorn and soda every evening from 3-9 30 p.m. as well as our complimentary exercise room/ and 24 hour business center. Enjoy a visit to Atlanta. 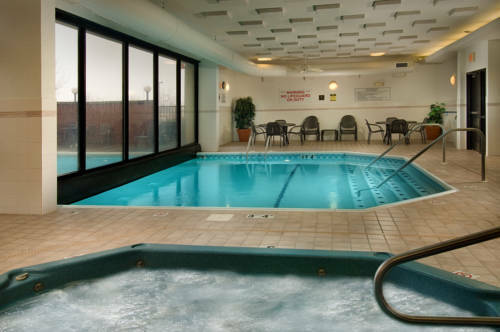 Conveniently located off I-75 and only minutes from Atlanta Hartsfield International Airport. With great shopping at nearby Southlake mall/ numerous attractions and downtown only 15 minutes away. This hotel offers 132 standard guestrooms and two-room suites. The suites provide a relaxing atmosphere/ which include separate bedroom and living areas. For 13 consecutive years J.D. Power has recognized Drury Hotels with the award for Highest in Guest Satisfaction Among Mid-Scale Hotel Chains. Come stay with family at Drury.